Home > Doctors > Norah Duncan, M.D. Norah Duncan, MD is a Detroit native who has been practicing family medicine in the metro-Detroit area since 2015. 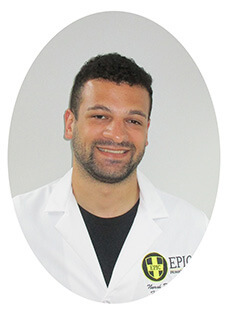 He is a graduate of Wayne State University School of Medicine. He trained in family medicine at Beaumont Health in Troy, Michigan. He has a passion for the wide scope of primary care and caring for patients of all ages. Dr. Duncan is board certified in family medicine. He co-authored "Prostate Cancer Screening" for American Family Physician, a peer-reviewed journal published by the American Academy of Family Physicians. He currently resides in Ferndale with his wife, two dogs and two cats.